Corrin Gibbs Burke is a holistic financial planner to her core. 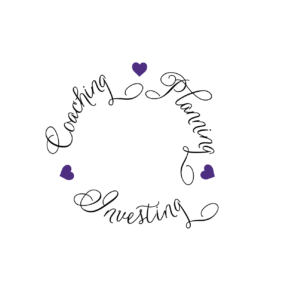 She created Successful Wealth® Strategies, LLC to help individuals and couples create a healthy, loving relationship, with their money. Having Successful Wealth® is about being and feeling successful with your money wherever you fall on the wealth spectrum. The goal of Successful Wealth® Strategies, LLC is to guide you toward balance and success in your relationship with money. Corrin has a holistic financial perspective and a passion to help you discover what your subconscious money patterns and behaviors are. Whether you are experiencing challenging emotions that prevent you from making the desired financial changes in your life or behaviors that are sabotaging your financial goals. Corrin’s loving, compassionate, non-judgmental way will help guide you to create a healthy loving relationship with money by modifying behaviors and beliefs, so you can become financially empowered and thrive in your life’s purpose. In business, Corrin Gibbs Burke is philanthropically motivated and planning driven. She has an extensive background spanning over 16 years in the financial services industry during which she became a CERTIFIED FINANCIAL PLANNER™ professional and is a Private Wealth Advisor. Becoming a Certified Money Coach was a natural path for Corrin. For her, this was the way to combine planning, coaching and investing. This gives her a unique perspective in creating a complete and holistic approach for her clients! Corrin’s ultimate objective is to help women feel peace, joy and balance when dealing with their money. She is a multifaceted woman to her core. Corrin Gibbs Burke is the founder of the tremendously popular Successful Wealth® Ladies Luncheon series focused on building a community for women around money. She enjoys her family life with her husband, two daughters and energetic rescue dog. 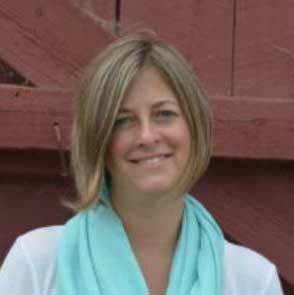 She is very involved as a Girl Scout Troop Leader, she sits on the Board of the Farmington Chamber of Commerce and is the Treasurer for Love Has a Home Here. Corrin is an enthusiastic traveler who loves the rush of discovering new places and dreams of someday rescuing horses. The intention at Successful Wealth® Strategies, LLC is to create a non-traditional, holistic financial experience for you, where you can gain a deeper understanding of and a relationship with your money and finances. Where not only the practical elements to your financial needs are met but also your emotional needs. The basic principles and foundation that SWS is run on is non-judgement, compassion and love. Having a deep understanding and innate need to be heard and loved no matter what our financial tendencies are is very important to our ever-evolving relationship with money. SWS is a place to heal, be heard and grow within our money dynamic. At SWS we are happy to meet you where you are on your money journey. We only ask that you be open and honest and ready to look at your money patterns and behaviors with a new perspective. If you are ready to integrate the emotional piece into your Financial Planning and Investment Process then partnering with Successful Wealth® Strategies, LLC may be a great fit for you! The Ideal Process for partnering with SWS is to begin with the Core Money Coaching Process to allow us to create a deeper understanding of our relationship with money. Once we have this foundational work completed, as part of our holistic financial approach, we understand why you have the behaviors and patterns you do with your money and the steps needed going forward to create your desired financial outcome. After completion of the Core Money Coaching Process we begin with the practical financial work. The next step is the creation of your Successful Wealth® Map, your road map to achieving your financial goals, desires and dreams. The final step is creating the Investment Strategy that meets your risk tolerance, time line and purpose. Having a financial plan in place is very important as part of a holistic financial approach to your relationship with money and goes hand in hand with your Investment Strategy. The Successful Wealth® Map lays out the purpose for your money and your desired goals and and what you need to have invested in order to reach them. When you add Money Coaching into the mix, we now have a picture of what patterns and behaviors can show up and get in the way of achieving this desired financial result. These three components work concurrently in creating your desired financial health and wealth picture! Once your coaching, planning and investment strategies are in place, ongoing support, connection and review are paramount. Our on-going relationship and your needs being met are very important at SWS. We can create a customizable holistic approach that fits the unique needs of your financial journey. You do not need to be on this journey alone. If you are ready for a different type of financial relationship, partnering with Successful Wealth Strategies, LLC may be the right fit for you. Please take the Money Type Quiz and reach out for a complementary consultation to find out!